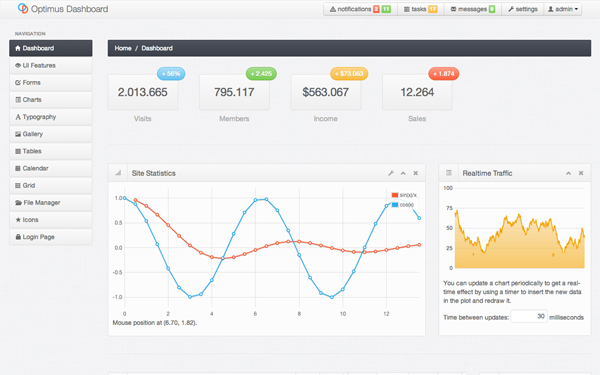 Best collection of top 10 Dashboard themes for twitter bootstrap. 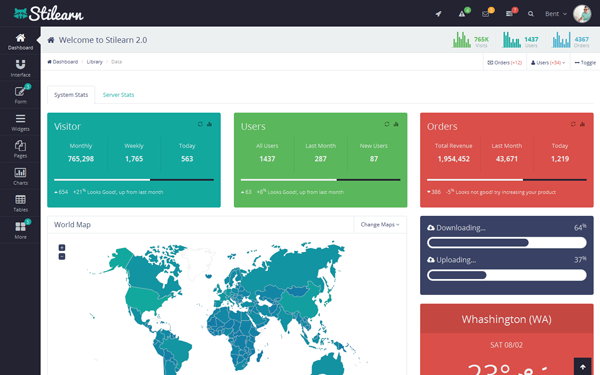 Perfectum Dashboard is a fully featured, premium, Bootstrap Admin Template. Pefectum based on Bootstrap 2.2.2 from Twitter. It works on all major browsers and optimizes itself for tablets and mobile phones. 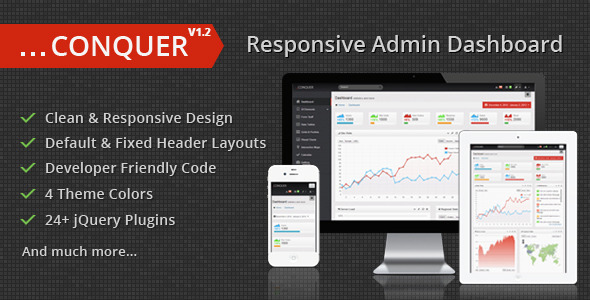 ACME is a fully featured and responsive premium, Bootstrap Admin Template. 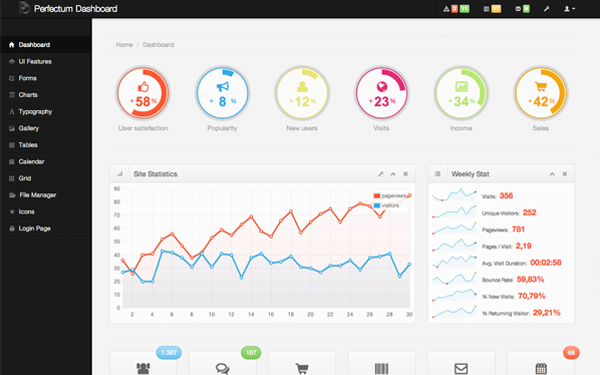 f you looking for dashboard template for your application ACME is perfect solution for you. ACME contains many plugins and widgets ex. charts, chats, weekly Stats, last users, To-Do list, support tickets and many more, so your app will be look awesome. 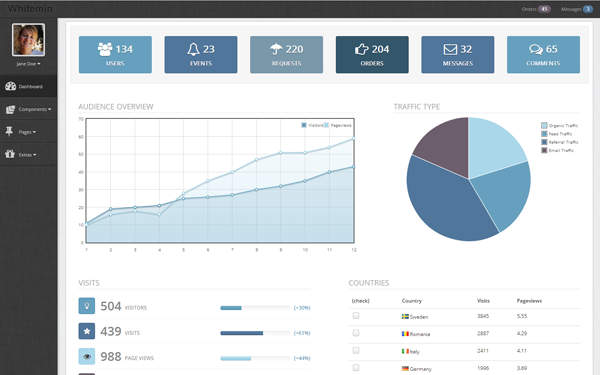 ACME Admin Template based on Bootstrap 2.2.2 from Twitter. It works on all major browsers and optimizes itself for tablets and mobile phones. 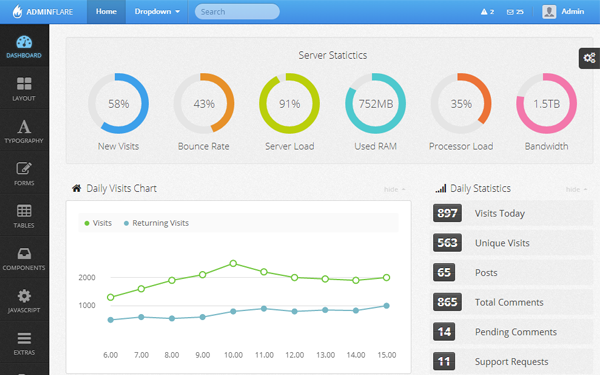 Optimus Dashboard is a fully featured, premium, HTML5 Admin Template. Optimus based on Bootstrap 2.2.2 from Twitter. It works on all major browsers and optimizes itself for tablets and mobile phones. Powered by jQuery and Bootstrap, Srabon includes many plugins implemented in 23 separate HTML files and also has a large selection of Icons & Sprites in different Styles along with a wide array of Widgets, Charts, Notifications, Tooltips. 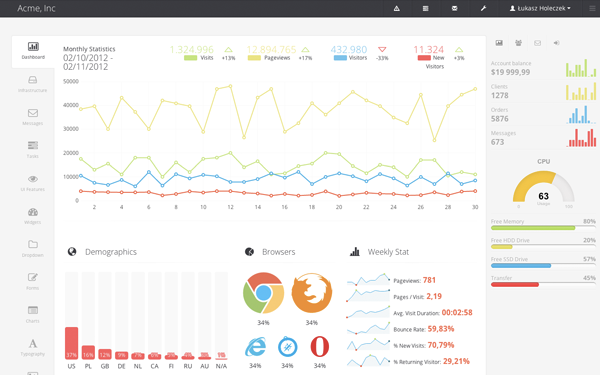 Srabon is a complete admin panel for any kind of web presence. 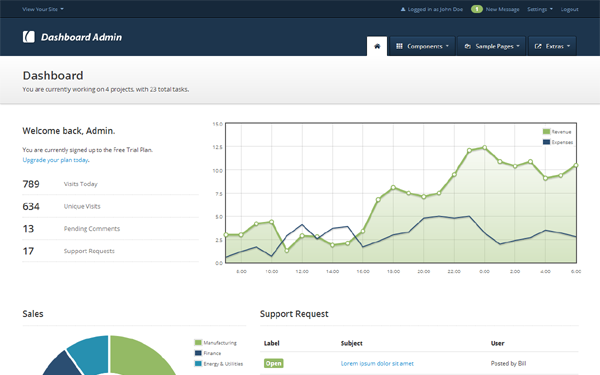 AdminFlare is a responsive admin template with a beautiful and user friendly interface. AdminFlare based on Twitter Bootstrap and built with LESS. 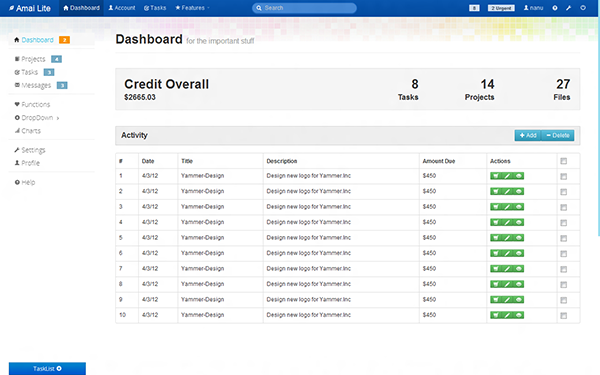 Stilearn is an admin template full responsive design. we split the layout into three sections (left sidebar, content, and right sidebar). we strive hard to make it look attractive and clean but keep it simple.